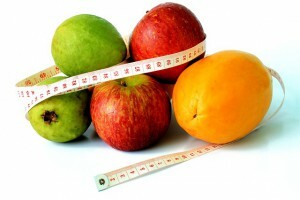 In this review section I am going to be reviewing many different diets and weight loss programs. That way you will have a comparison as to what you would want to try and what does not interest you. The Atkins diet is the original “low-carb” diet. It has been around for about 50 years and was designed by Dr. Robert Atkins. When it was originally introduced it was perceived that you could eat all the burgers, bacon, cheese and beef you wanted. Just cut out the carbs. No pasta, bread, processed foods, nothing white, except cauliflower .No potatoes, squash, peas and carrots. They all have too much sugar. The Atkins diet has transformed over the years and it not considered a fat-laden diet any more. Basically what you will eat is a little more protein, fish, chicken, shellfish, beef, pork or tofu. And for flavoring your foods, use olive oil, butter, and other fats. Here is a visual if you don’t have the utensils available for measuring. You will have plenty of green, leafy vegetables in salads, plus other vegetables on the list. You will be limited to low carb vegetables, and in the first phase you cannot have any fruit. You omit all sugary, high carb foods like donuts, muffins, bagels, and all the forbidden foods you know and love, you know what I mean. After you are on the diet for a few days, you will lose your cravings for the sugar, I know I did. You will eat a lot salads and low carb veggies to get your 20 net carbs a day. Also Atkins has come out with a full line of frozen entrees, pizzas, bars and candies. If you have access to a computer you can check out the Atkins website and get all the details on how to get started or pick up the book “The new Atkins made easy”. Also available is a carb counter and apps to take the guesswork out of meal planning and tracking your progress. You do induction for a minimum of 2 weeks, or longer if you have a lot of weight to lose. Follow this phase until you are 10 pounds from your goal. Follow this phase until you reach your goal and maintained it for a month. This is your final phase that you will maintain for the rest of your life. Price: There is no charge for the product. You can sign-up to the website for free. The only cost would be for 1 of the Atkins books or buying their brand of food. No buying prepared food unless you want to. CONS: Restrictive, limited to what you can eat. WHO IT IS FOR: Anyone that wants to lose weight quickly and easily. Easy to follow and inexpensive. SUPPORT: Their website offers a variety of support and their many books can be helpful. If fasting or juice fasting is not for you, this is a good plan to keep in mind.